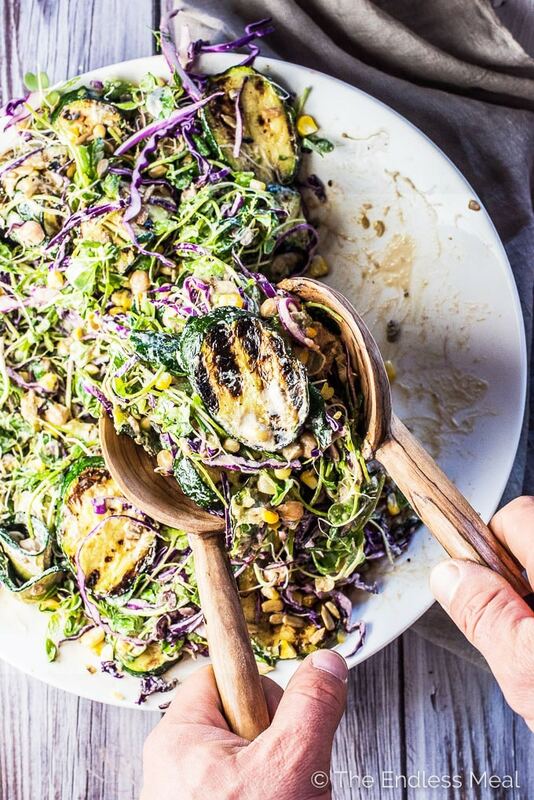 This Grilled Zucchini Salad recipe is THE BEST salad ever. 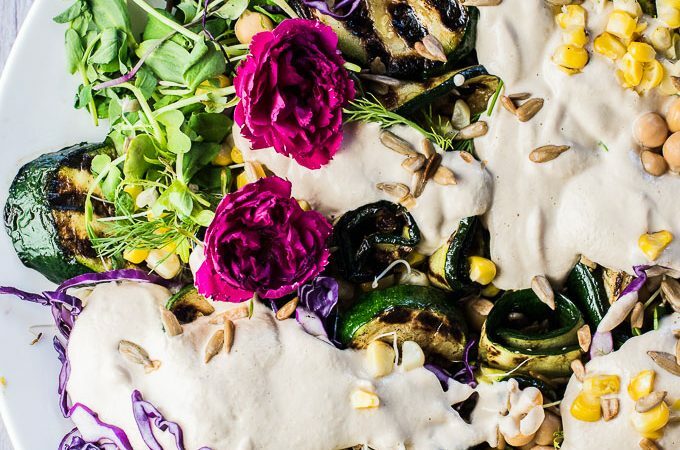 It's loaded with summertime favorites like grilled zucchini and corn, alfalfa sprouts, purple cabbage, and healthy chickpeas and tossed in a super creamy and easy to make sunflower seed dressing. Grilled Zucchini Salad that was about THIS close to being called a Rainbow Salad. Yes, I'm totally serious. Grilled Zucchini Salad with the colors of the rainbow and summer bursting all over the bowl. This is my kinda salad. My handsome man declared that this was the best salad ever. I'm not even joking. The Best and Salad together in one sentence and coming from my man? About a healthy VEGAN recipe? This has never happened before. I should probably rename the recipe The Best Grilled Zucchini Salad Recipe Ever, just to be more accurate. It's everything creamy, like the best salad dreams. Do you see it sitting there in the jar, almost teasing you with creaminess? It looks like it should be full of dairy, doesn't it? But it's not. It's a 100% dairy-free, vegan salad dressing. There's some serious magic going on here. I'm talking about sunflower seed magic. Put some roasted sunflower seeds, water, miso, lemon juice, and a little garlic into your blender and watch the magic happen. Those little seeds get whizzed around until they transform into the creamiest dressing ever made. ? Is it as impossible to find summer squash in your city as it is here in Vancouver? We seem to be having a city-wide summer squash shortage. Honestly, I spent three days going to six different grocery stores and a farmers market and couldn't find a single summer squash other than zucchini. What is going on? I came across all sorts of weird and wonderful produce from cucamelons to pineberries to custard apples, but nowhere in the city could I find summer squash. If you're hoarding all the summer squash in your city, feel free to swap out some of the zucchini. The extra colors and shapes will only make the salad prettier. Those rolled up zucchini rosettes might be taking it a little far for everyday, regular life. Same goes for the flowers I stopped and picked after my run yesterday. You guys, I couldn't help myself. Summer is all about getting carried away, isn't it? There are so many different flavors and textures going on here. I think that's what won it The Best Grilled Zucchini Salad award. Grilled zucchini, with all the smokiness it picks up from the BBQ, is one of the best veggies ever. Then there's the sweet corn that pops in your mouth, some crisp and crunchy cabbage and sprouts. The chickpeas and sunflower seeds mingle around for a surprise every few bites. Once everything is tossed in that creamy dressing I was raving about, it becomes a little bit of summertime heaven in each bite. 4 cups salad greens – arugula and spinach both work well. I've used a farmers market blend in the pictures. Oil and preheat your grill to high. Toss the zucchini and corn with the oil and sea salt. Grill on high, turning the zucchini once and the corn a few times. Cook the zucchini for 3-4 minutes per side and the corn for 10 minutes. When the corn is cool enough to touch, cut off the kernels. 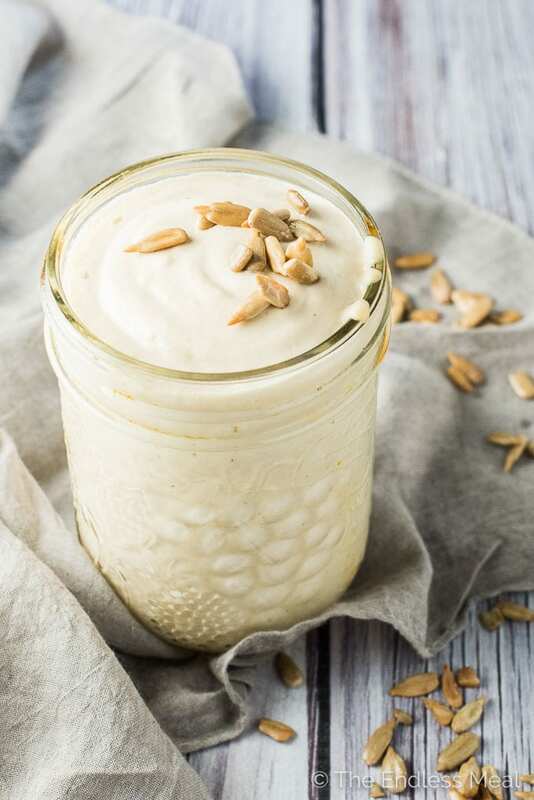 While the zucchini and corn are cooking, place all the sunflower seed dressing ingredients into your high-powered blender and blend on high until smooth. Layer the salad greens, alfalfa sprouts, chickpeas, cabbage, sunflower seeds, dill, and the grilled zucchini and corn in a large salad bowl. Pour the dressing over the top and toss to coat. If you don't have a high-powered blender, use sunflower seed butter instead of whole seeds. 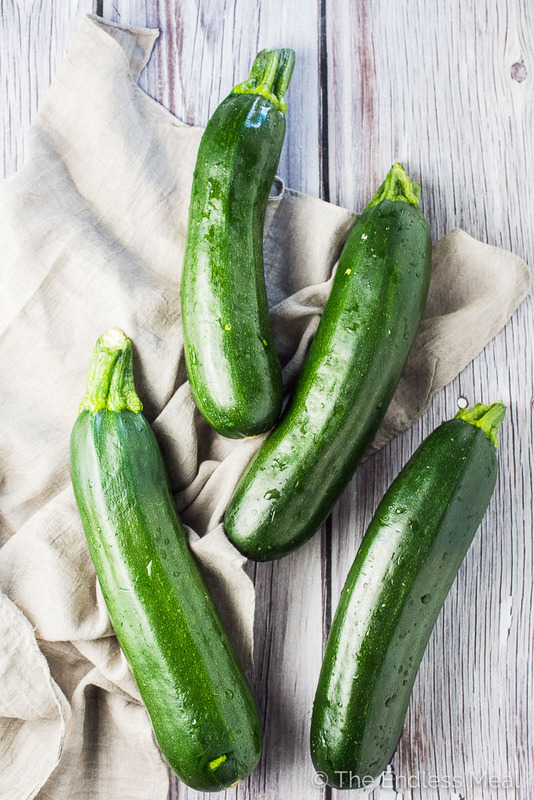 Making this recipe for a party and wanted to know if you cut the zucchini lengthwise or into circular slices for grilling? Holy cow, I wish I was eating this right now. I will be making this soon. Thanks, Emilie! I hope you love it as much as we do!